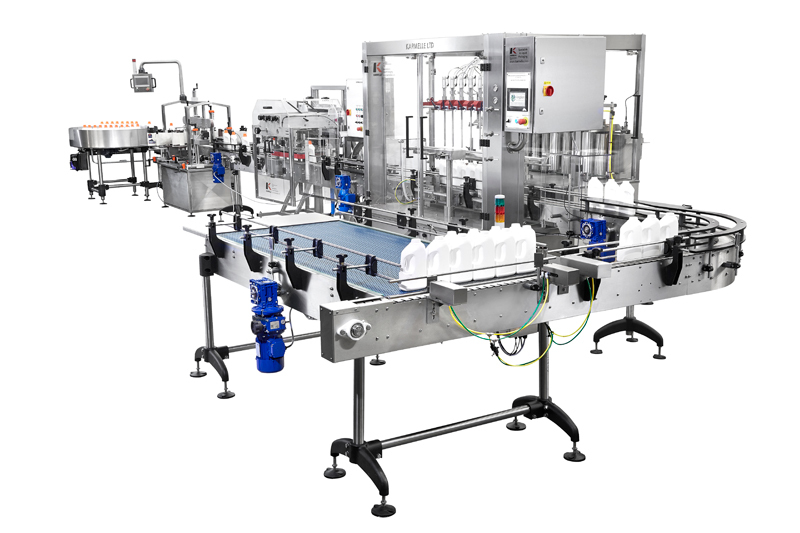 Our Flow Meter filling machine is fully automatic and it is suitable for a wide variety of products. 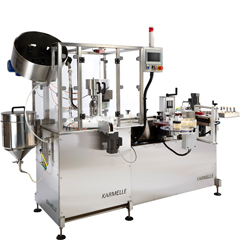 The liquid filling machines can be set up for bottom-up fill, top fill or neck entry using the suitable interchangeable nozzles. 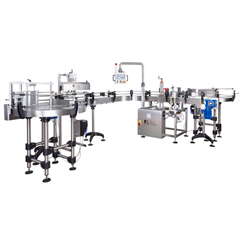 Flow Meter filling machine can be cleaned easily as it contains no moving parts. 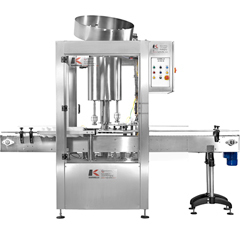 It is suited to hygienic filling applications. 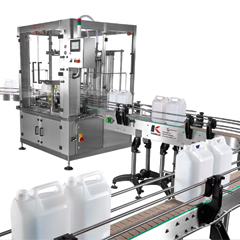 Liquid filling machines are available from 2-12 filling heads and they can be supplied as semi-automatic or fully automatic depending on production requirements.